One good way to show your business’s marketing strength is by creating the perfect catalog. A catalog shows the best qualities of your business organization. Its primary purpose is to leave a lasting positive impression on your partners and clients. If you want your business to extend its influence both locally and globally, you will have to take certain measures. Getting your catalogs customized with our printing services might be the first right step to take. Why Focus on Printing Catalogs? Catalogs have turned out to be one of the most attractive content sources for business readers. A catalog is an excellent way to increase your brand’s popularity and a major source of information for your clients and partners. Catalogs consist of targeted content, and their effectiveness surely cannot be underestimated. We offer numerous styles and designs to make your catalogs appealing. We believe your catalog needs to make a first good impression. It should consist of the right font size, format, and the most suitable style. We ensure that your content has a higher readability rate and your business gets the right push. Furthermore, the use of the latest printing technology guarantees you high-quality prints that can be crucial for your business’s success. The first thing that might pop up in your mind is that’ how much will it cost?’ You certainly won’t have to worry about that. Our services also include giving you the best competitive rates for your catalogs. You can get some new clients with some of the most attractive catalog designs available at affordable prices. We are aware of the tight business timelines that you have to meet for your clients. 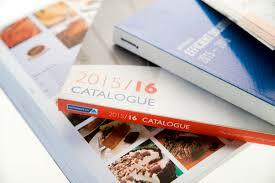 For this, we excel in delivering your printed catalogs on time to ensure that your campaign runs smoothly. There is no compromise in print quality along with the availability of a flexible schedule. 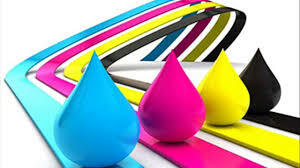 One of the best things about our services is that our printing services do not limit to one particular format. We print catalogs of different types that include event, promotional, camera, restaurant, hospitals, educational, clothing, etc. Getting a recommendation from our highly skilled and professional team might help with your final printed product. The team can help you choose the right design, style and the template you want your content on. This can also help you save some unnecessary costs and make the whole process relatively easier for you. Printed catalogs are an exceptional way to express your business’s identity and personality. The smell of the freshly printed-paper alongside some engaging content might just be the key to a successful campaign. Tired of looking for the best catalog printing services in NYC? Call us at 646-205-3037 today.